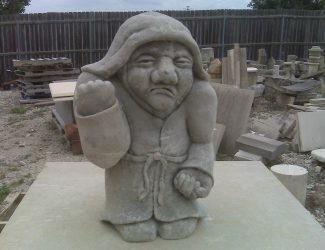 This is a sculpture of a Troll that I made for my Father that now sits near a small bridge in a gully between the exposed gnarly roots of massive oak tree. 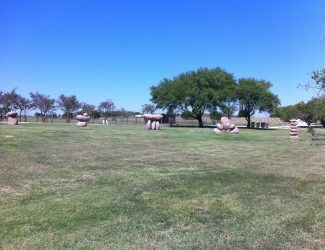 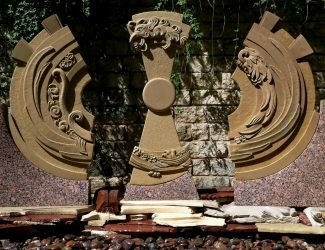 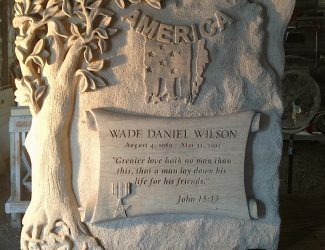 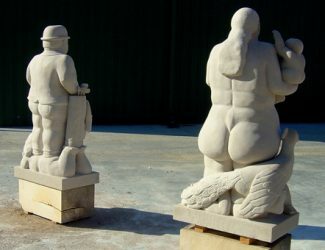 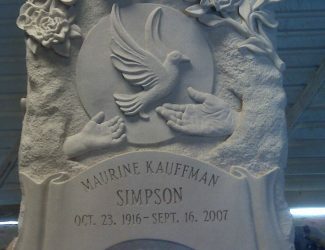 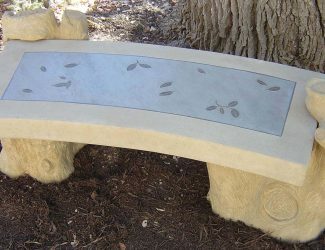 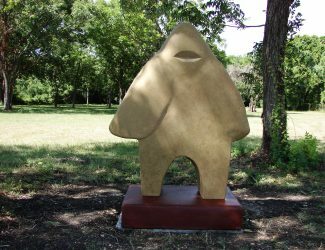 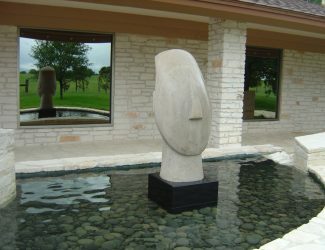 Commissioned sculpture for a private residence in central Texas. 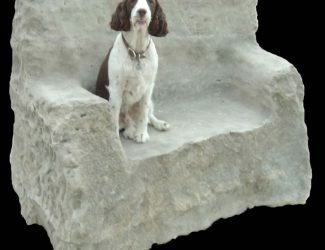 This is a stone couch carved out of a quarry block of cream limestone that was then aged and distressed to to look weathered and old.